I’m still very uncertain about whether or not I can make a difference. All I know is that I have to try. Photographing people who live on the street has been difficult but very rewarding. It’s hard to approach a stranger. It’s even harder to approach someone who has rejected society or who has been rejected by society. Despite the odds, I managed to break through walls to get to know them on a deeper level. 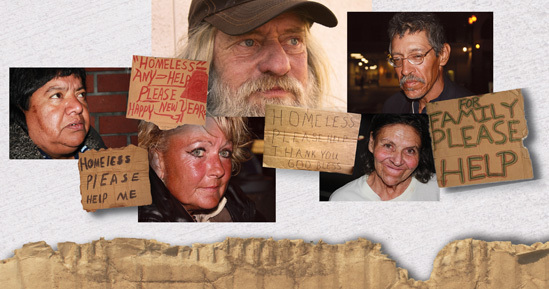 My motivation for doing this class project was to educate the public and society about the issue of homelessness. My work strictly focuses on raising awareness, changing the perception of these people and focusing on what we can do to help them, rather than on the negativity associated with them. I hope to inspire just one person to go out and do the same thing. That person will go on and inspire the next. Together, we can change our community and even the world by helping one person at a time. Tran set out to create a photo book for a class project. He bought each person he approached a meal. He even took special requests.